Foresee the greatness of your summer garden with a little illumination for your garden shed. A Aluminum Gooseneck RLM Light would make a welcome, inviting addition to the side of your barn or shed. These gooseneck lighting fixtures illuminate up to 4 square feet of space, plus the residual glow that spread up to 6 feet in a halo around the bulb. These gooseneck lighting fixtures, while ideal for commercial and business uses, were originally designed to illuminate barns on rural farms. There are 3 diameters to choose from, and each diameter has a unique bulb wattage need. 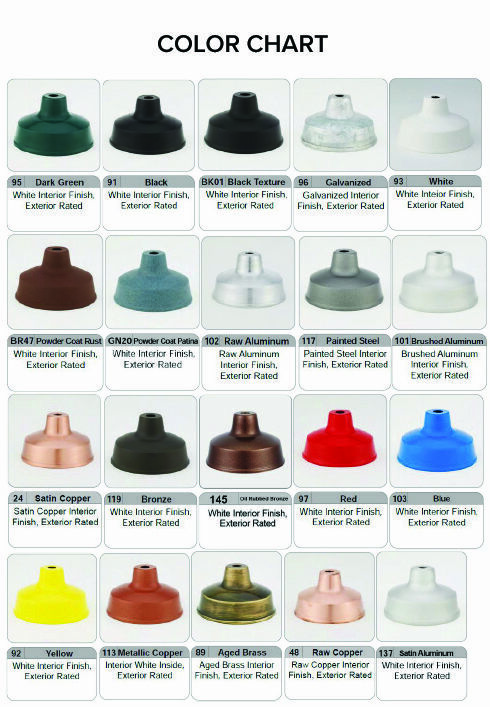 Choose from over 20 shade colors from our dropdown menu or call us for customization options.